Andrea Gatlin is the proud owner of Hess Studios. She rents out small spaces to hair and nail specialists. But she also wants them to succeed, so she promotes their services through her main web site: www.hesstudios.org. 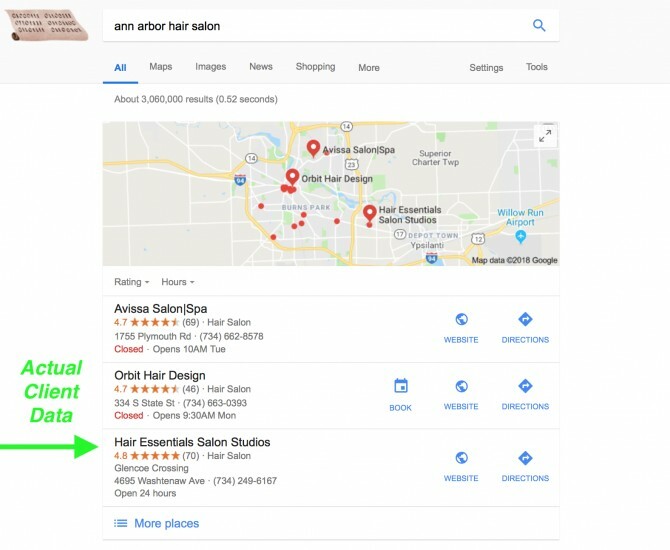 She contacted us in April and was thrilled to learn that we do not charge anything until her site ranks better on Google. Thereafter, she pays based on how much improvements we make to her site’s presence on Google. We signed the agreement and started to work on her sites. 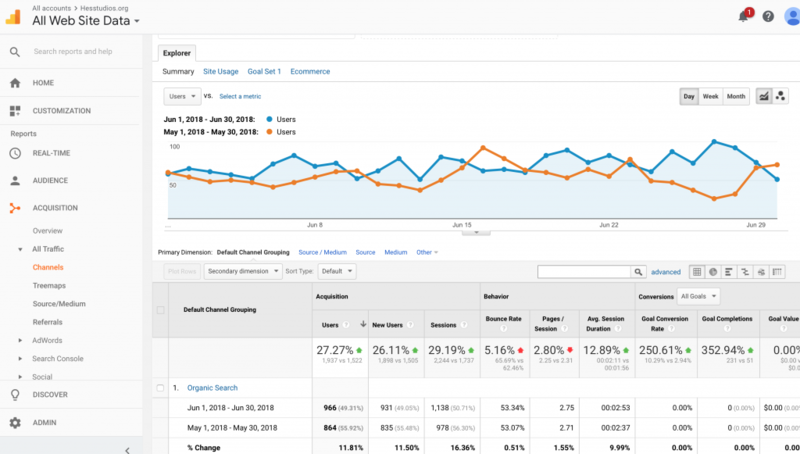 Within just two months, we were able to improve her site’s rankings from 49% visibility on Google to 63%. In June, 2018, her business received 231 calls compared to 51 calls in May. This is an amazing 353% increase in the number of calls she’s receiving. Out of these calls, 209 were generated through organic search (mainly Google). This is just the beginning of the project. Soon, we’ll see higher positions on Google for her main keywords and consequently higher number of visitors to the site and more calls. If you have any questions, or if you want to boost your site’s traffic and leads using our pay-per-lead Google SEO, give us a call at the number above or fill out our Get Started form (also at the top). We’ll be happy to assist you. Did you fill out our contact form? I want to get more sale ranking on my online store and already have created Facebook, Intergram, and Google my Business.